After purchasing 100 acres of fertile farmland, W.J. Montgomery contracted with W. J. Wilkins to build a large “Eastlake” styled house. It was ready for occupancy in September, 1895. Situated in a grove of oak trees (many of which are still standing) the solid brick edifice features period triangular, arching, linear and square motifs. 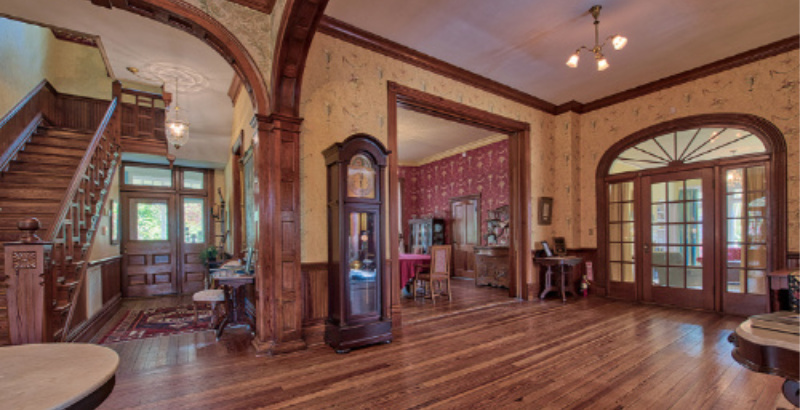 Guests and visitors can tour the house, even behind the scenes, and appreciate the life style of an upper class family in Marion during the late Victorian and Edwardian periods. 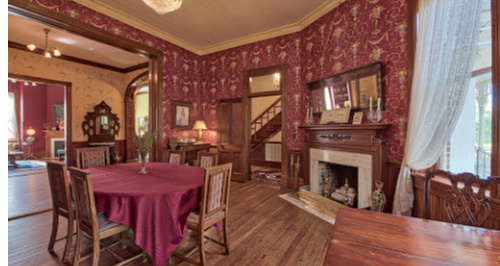 You will be guided through the first and second floors that include the great hall, dining room, three parlors, the suite and four bedrooms. 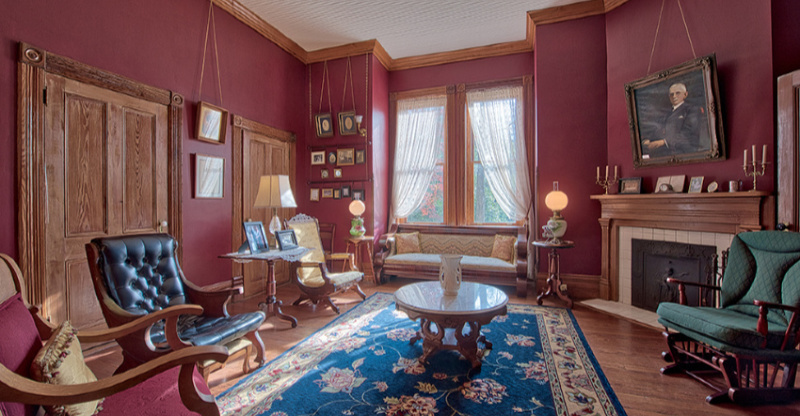 Each room contains artifacts, furnishings and memorabillia that were in the house when the Montgomery Family lived here 1895-1992.